Still pondering a stay at one of our vacation rentals? Oregon coastal getaways are ideal in the winter, as we’ve already started to explore with a series of reasons explained in our last blog post, entitled “Why Winter is the Ultimate Time for an Oregon Beach Vacation.” Here are five more reasons why you should consider booking a vacation or weekend jaunt to the beautiful areas surrounding Oregon’s central coast. Book a weekend and get a 3rd night free! *No holiday’s – Must mention special when booking! The culinary offerings you’ll find in the summertime are top-notch, but Oregon chefs are often more relaxed in the winter and the local seafood is always fresh. And, you’ll simply get a different perspective in the winter. You will find bisques, chowders, soups and stews that are not offered during the summer when things like grilled fish and salads are more popular. So dig in and enjoy! While summer seaside holidays are often rushed and frantic, winter holidays offer opportunities for exploring pockets of life you may not have had time for as you were trying to hit all the summer hot spots. You might find yourself meeting other visitors or dining with locals or invited to holiday parties. It all depends on how much you want to put yourself out there! As the world is bustling and buzzing and bursting at the seams with the winter holiday season, you can find yourself returning to the simpler way of life if you book one of our Oregon vacation rentals this December. So forget the worries of the city and unwind. Some people prefer to blend in with the locals when they vacation. You can do that much more easily when you choose winter as the time to book one of our vacation rentals. Oregon coast locals are inundated with tourists in the summer, and some can be more stand-offish with all those crowds around. Local folks often see the winter as a time to unwind from a busy year, too, so they’re more likely to invite you for a conversation or a party, or clue you in to local activities such as holiday parades and charity events. While we already mentioned that unique culinary delights await you in Oregon seaside towns like Lincoln City during the winter, we neglected to mention that you can also get reservations to places in December that would be much harder to get into during the busy winter months. This also applies to museums and other attractions. In fact, you can probably walk right in without any reservations most nights! 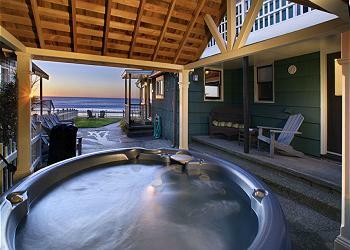 Now that you know winter is an ideal time for Oregon coast vacation rentals, what are you waiting for? There’s no time like the present to book your vacation. In a matter of days you could be relaxing in style, and you’ll return to your friends and family with a renewed energy as the holidays and New Year commence. *Must mention special when booking! There are deals that you’ll find in December, which you won’t find any other time of year. 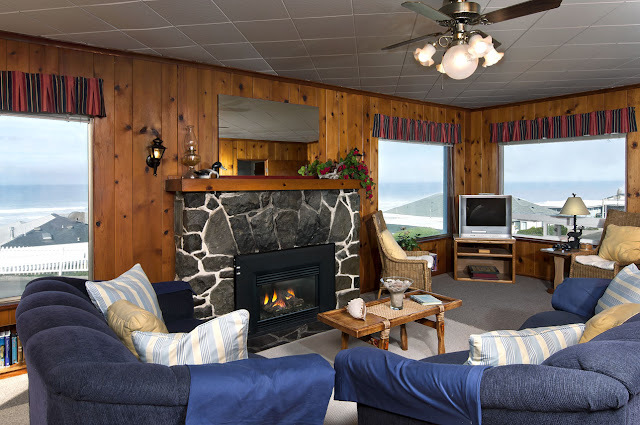 A-1 Beach Rentals is offering a December Special, for instance, with a third night free for every two nights that you book at one of our properties during this wintry month. With Christmas and New Year’s Eve excluded, any dates between December 1st and December 30thwill be included in this special deal for stays of at least three days within the month. While the beaches are full in the spring and summer, winter time is not the time for coastal overcrowding. You’ll find some harsher conditions, with an ever-present possibility of rain, but you’ll also find opportunities for storm-catching and whale-watching that you won’t find in the summer. And with the crowds gone you can spend time with yourself and with your loved ones without all the distractions and fights for parking that you’ll find in those sunny summer months. If it’s romance you’re looking for, winter is the time to book one of our beach vacation rentals. Oregon beaches can be a very romantic place year-round but there’s no denying the special appeal of winter. Whether you want to enjoy a candlelit dinner from the deck or dining room of your private rental house, or a romantic meal at a local fine dining restaurant, or a walk along the magical coastline as waves thunder upon the sand, you’ll find it here. And in the winter you’ll find these romantic interludes without all the tourists cramping your still. The beach is a place to recharge for many. In bygone eras doctors would even recommend moving to the coast as a cure-all for seemingly incurable illnesses, as the sea air seemed to offer benefits that just couldn’t be found in the cities. We can all still agree that the seaside is a place where you can read, relax, and recharge in order to get back to civilization with more energy for the coming year. If you prefer to do things your way, and not follow the crowds, winter is the ultimate time for your visit to one of our Oregon vacation beach rentals. You’ll also find more unusual events and activities that are designed for the locals, and are perhaps not as “touristy.” So, winter is also the ideal beach vacation season for those who march to the beat of their own drummer! Whether you’re looking for romance, peace and quiet, or a weird-and-wacky vacation, winter is the time for you. And the Oregon coast is just the place. Book your Oregon beach rentals today before it’s too late! Check out our next blog, titled “5 More Reasons to Book Your Oregon Beach Vacation in Winter” for even more reasons to book now!